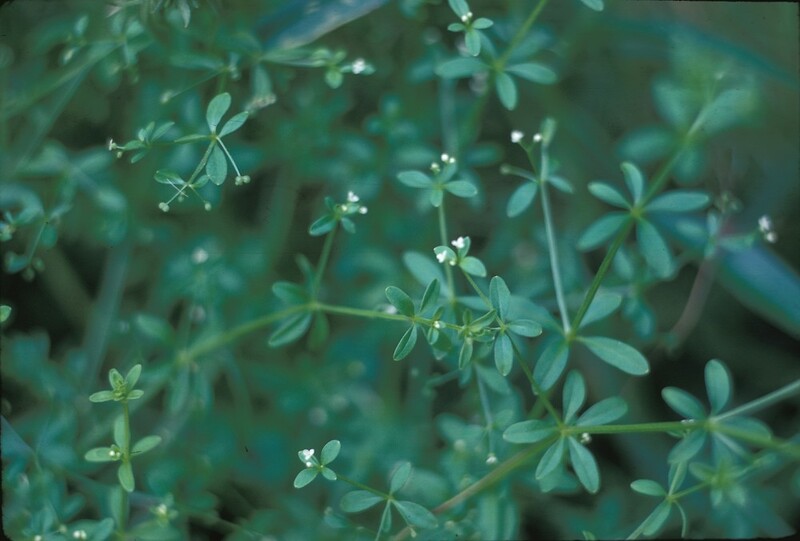 Three-petaled bedstraw is a small native bedstraw that sprawls along other vegetation to a height of at most two feet. 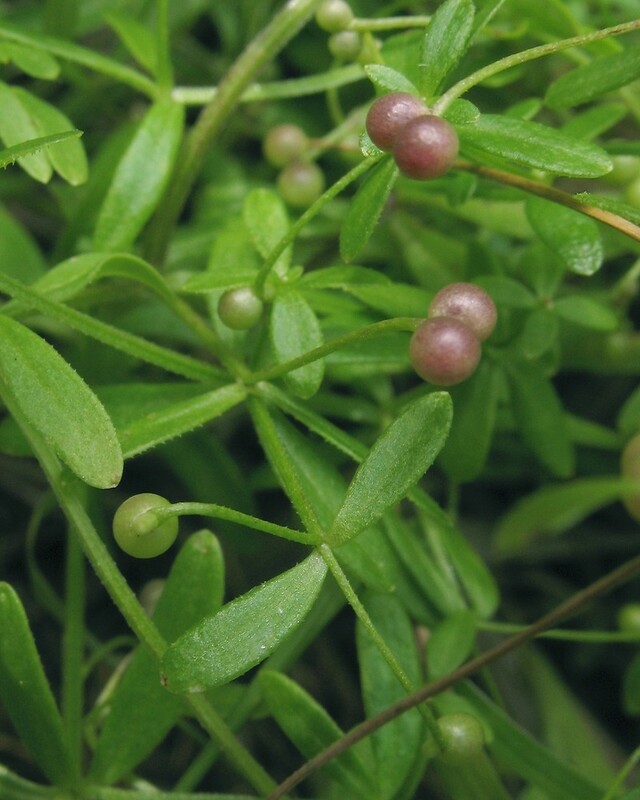 The Ojibwa used an infusion of this plant to treat skin diseases like eczema and ringworm. 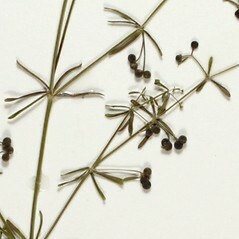 stalks of fruits straight, stiff, some widely spreading, without minute prickles (vs. G. trifidum, with stalks of fruits arching, flexible, erect to ascending, commonly with some minute prickles). 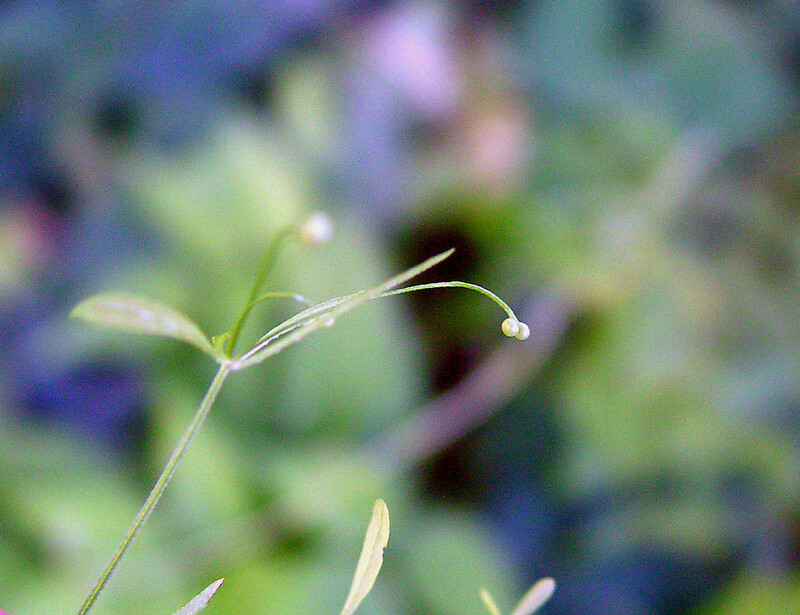 inflorescence branching 3 or more times, bearing 5 or more flowers (vs.G. 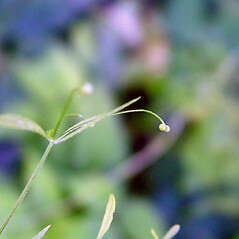 trifidum, with the inflorescence branching 1 or 2 times, bearing 2-4 flowers). 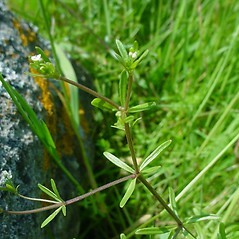 Galium tinctorium: stalks of fruits straight, stiff, some widely spreading, without minute prickles (vs. G. trifidum, with the stalks of fruits arching, flexible, erect to ascending, commonly with some minute prickles). 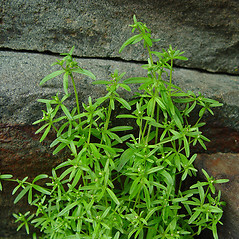 Galium trifidum var. 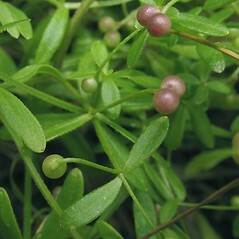 halophilum Fern. & Wieg. 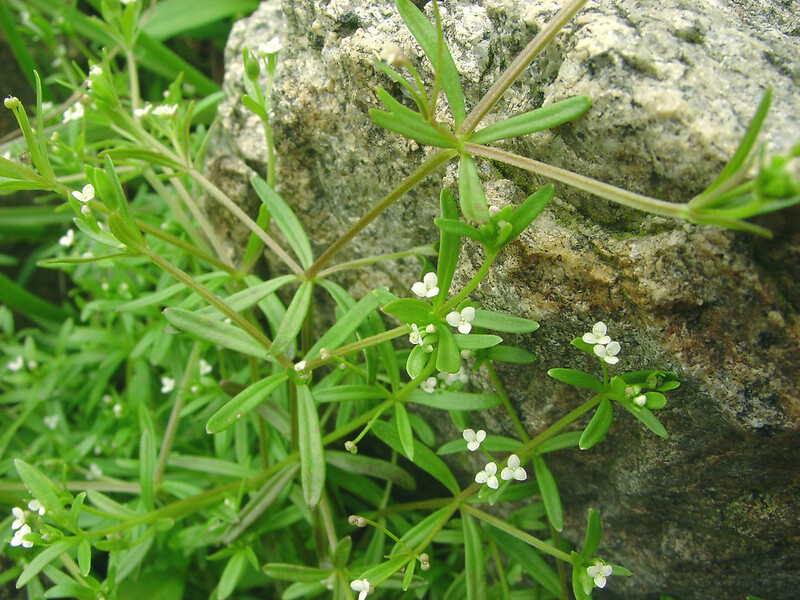 Galium trifidum L. ssp. 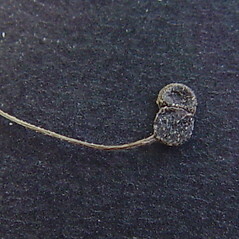 trifidum is known from CT, MA, ME, NH, RI, VT. G. trifidum ssp. 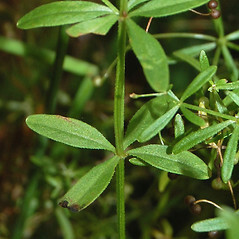 halophilum (Fern. & Wieg.) 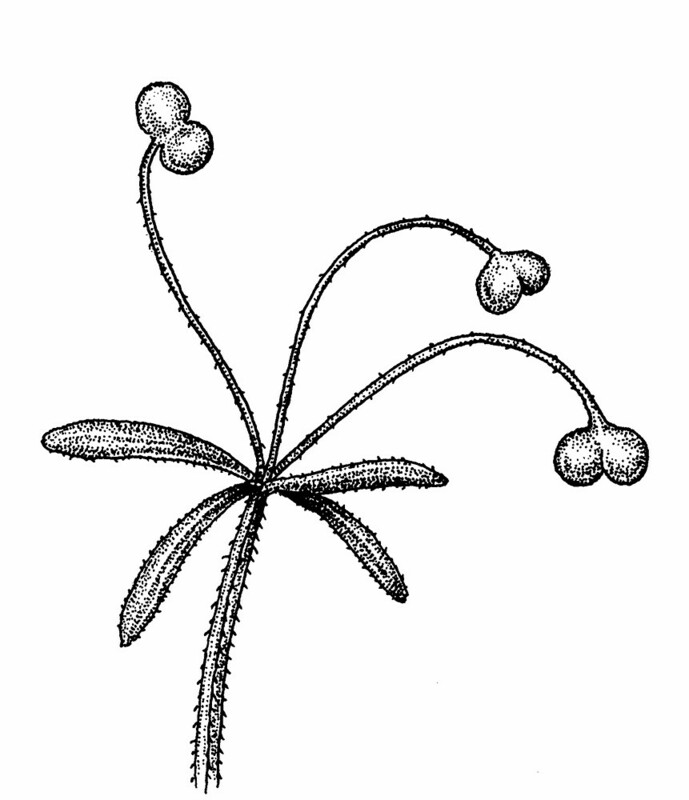 Puff is known from MA, ME, where it is restricted to coastal saline habitats. 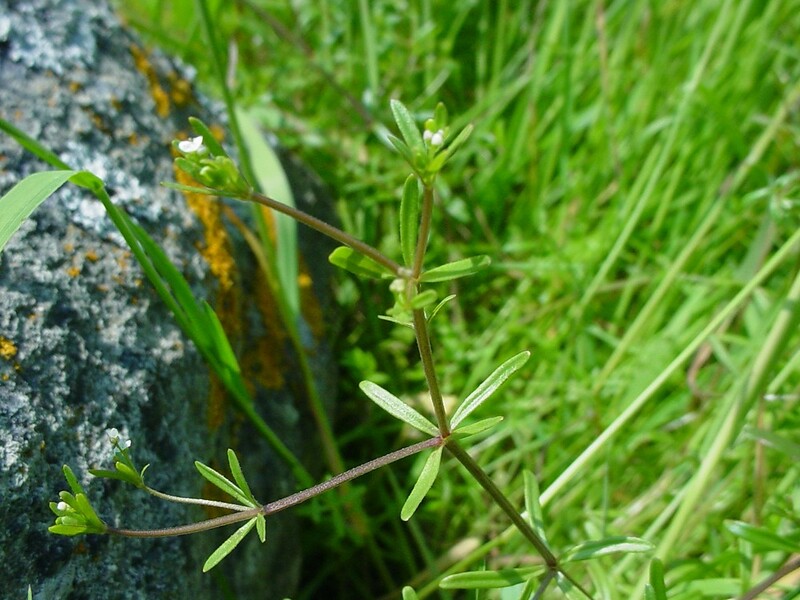 three-petaled bedstraw. 20a. 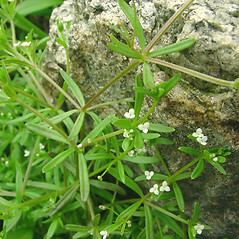 Galium trifidum L. var. 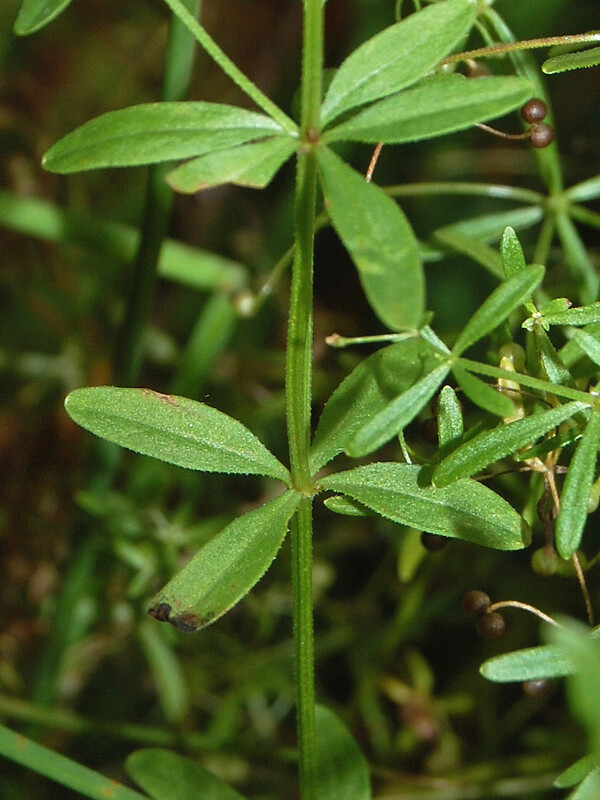 halophilum Fern. & Wieg. • CT, MA, ME, NH, RI, VT; nearly throughout. 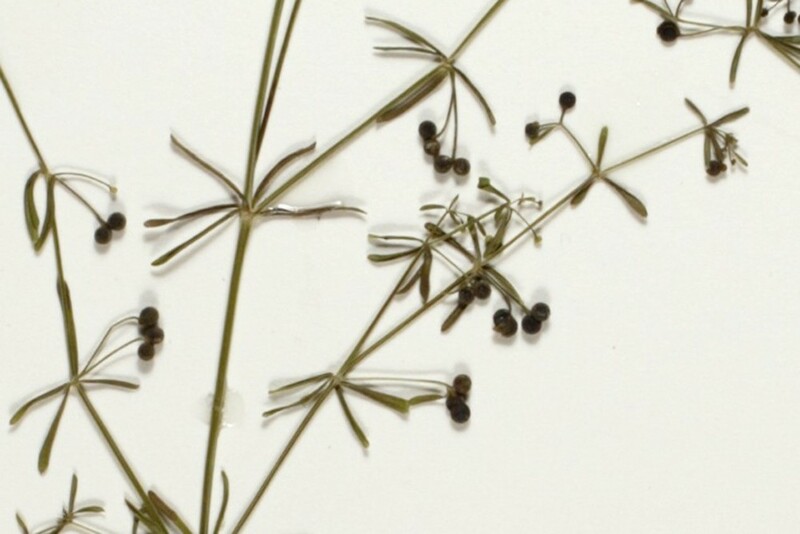 Swamps, fens, marshes, hydric fields and meadows, shorelines, saline and brackish marshes, Atlantic coast shorelines. 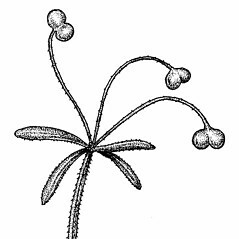 Subspecies halophilum is known from MA, ME. 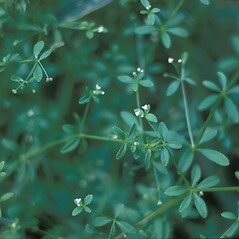 It is restricted to saline habitats of the coastal region. 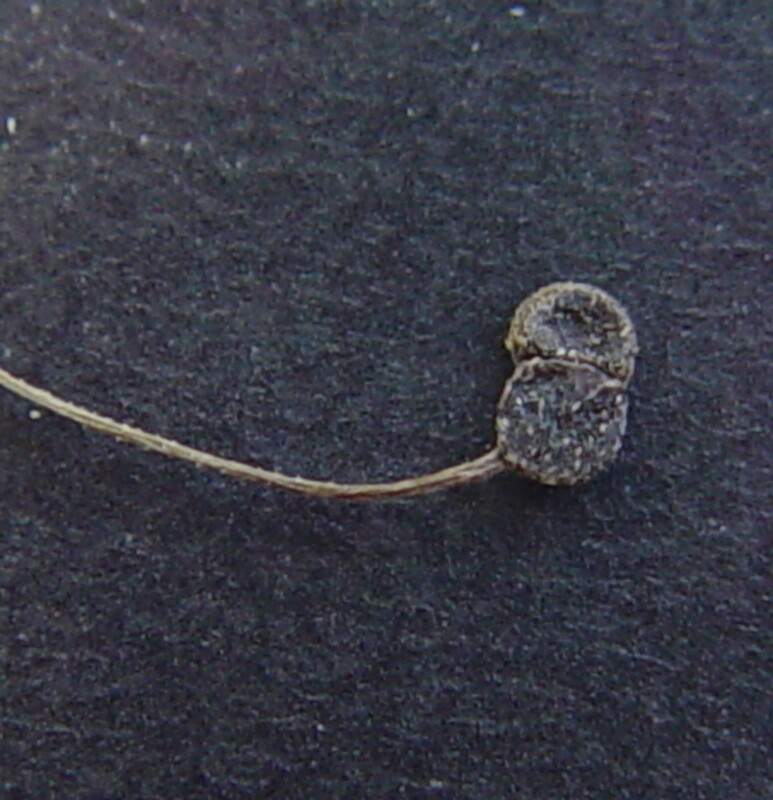 Subspecies trifidum is known from CT, MA, ME, NH, RI, VT. 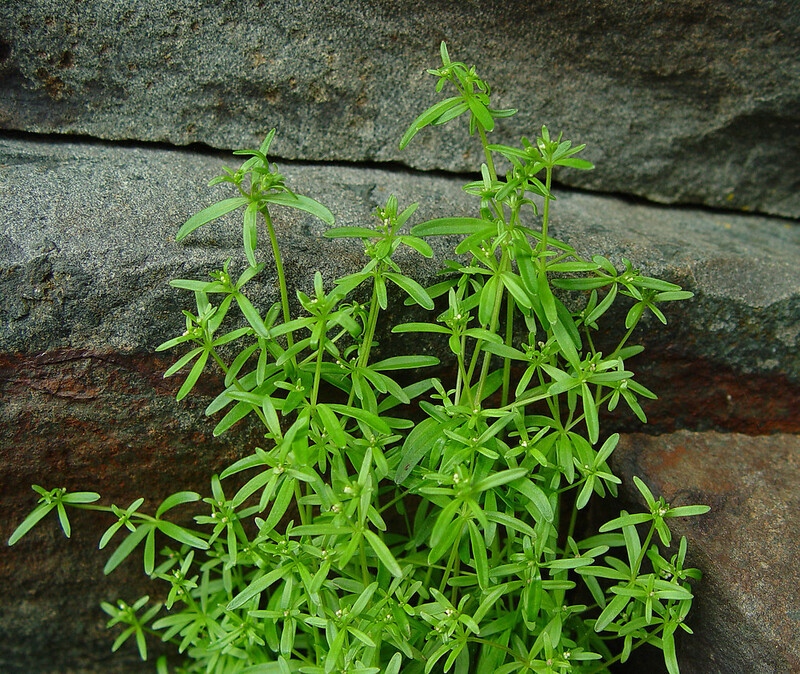 It is widespread in New England in hydric and seasonally hydric communities.